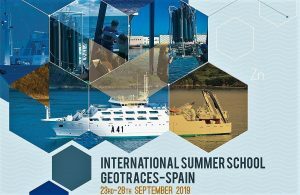 The International Doctoral School in Sea Studies, EIDEMAR, was borne from the signing in Algeciras of a Framework Agreement by the partners of the CEI·MAR coalition. The agreement concerned the creation of a Doctoral School in Sea Studies. Six months later, the Steering Council of Cadiz University approved the project and set out the internal rules of the school, which were later endorsed by the university’s social council. The Andalusian University Council approved the project in December; specific agreements on the incorporation of the universities of Almería, Cadiz, Huelva and Malaga, as well as the two foreign centres which depend on the Campus of Excellence (Universidade do Algarve and Université Abdelmalek Essaâdi), were signed. The formal institutional structure of EIDEMAR took its final shape in July 2013, with the publication the institution’s constitution in the gazette of the regional government. It was also stated that the centre was to be dependent on the Registry of Universities, Centres and Degrees RUCT, which depends on the Ministry of Education, Culture and Sports. The directors of the centre were appointed that same year, while the first Doctoral programmes were being created. The matriculation of students began in 2013-2014. The new courses on offer aroused considerable interest among the academic community, leading to an increase in the number of places initially available. During the first academic year, important efforts were made by the institution to make the school known in academic circles and different interest groups (lecturers, students and other university community members). The EIDEMAR Inaugural Conference, entitled ‘El mar: un laboratorio inagotable para la formación doctoral’ (2-3 April, 2014), was the academic starting point for the first batch of Doctoral students, as well as the school’s first pre-Doctoral contracts in October 2014). From that point on, the school has continued its activities, which include the regular meeting of its steering bodies, especially the steering committee and the academic committees associated with each degree; similarly, the school has a programme of annual activities, among which we may highlight the meeting ‘El proyecto Malaspina como cantera de investigadores en Ciencias Marinas’, in which students from the school (11-12 December, 2014) and the I Jornadas Doctorales de EIDEMAR (1 December, 2015) participated. Each year more than fifty Doctoral students join the school. The first VIVAs took place during the closing months of 2015. According to all forecasts, the school is on track to continue growing.